Native Miamian, Jill Rapperport, creator of YOKI Yoga Kids, specializes in Children Preschool through High School, is an experienced registered yoga instructor, meditation teacher, Trauma Incident Reduction Facilitator, Spiritual Life Coach, Shamanic Energy and Sound Healing Practitioner. She brings a unique blend of business experience, yoga postures and philosophy , adjustments, anatomical knowledge, musical and sound healing training and varied spiritual practices to her trainings. 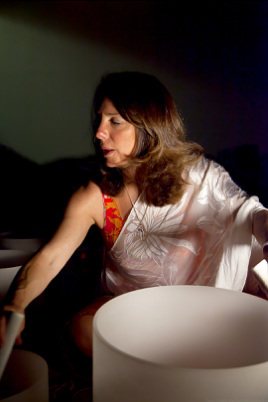 The creator of a Unique Sound and Shamanic Journey through the Chakras, she leads special Sound Bowl Meditations across the State. These sound healing workshops support deep relaxation, reduction of stress and activation of the higher mind and heart’s intelligence.